Have creative fun with your children. 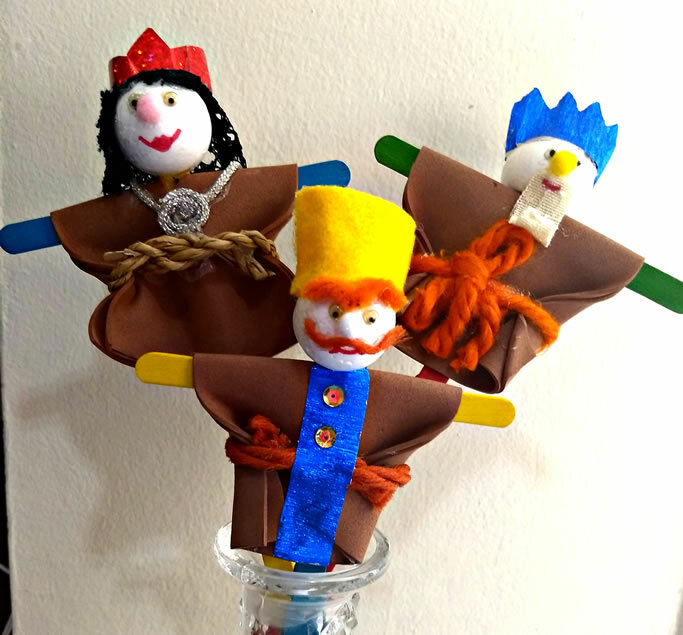 Make three clowns to set in a vase for a beautiful seuda centerpiece. Glue 2 craft sticks together. Place the horizontal stick approximately two-thirds of the way up the horizontal stick (see picture). Fold fabric piece in half and cut a small hole in top center. Insert over stick form. Glue in place. Gather material at “waist” with yarn for a belt. 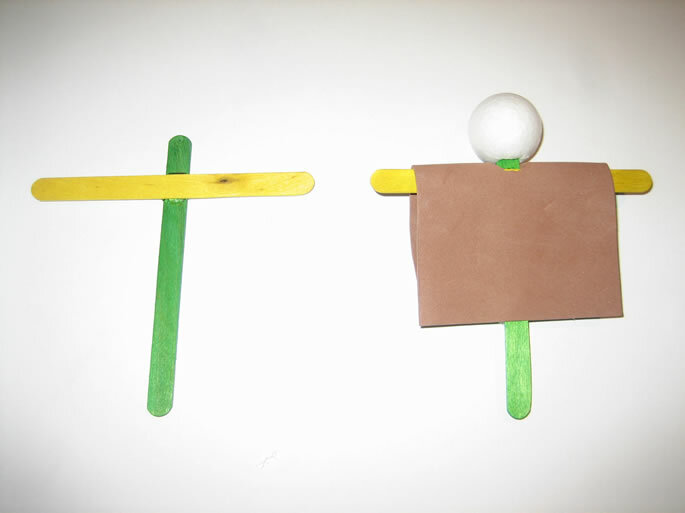 Make an incision in the Styrofoam ball and glue onto the top stick. Draw the crown, cut out and attach. Attach eyes, pom pom nose, mouth and other decorations. Optional: Replace the vertical craft stick with a large lollipop. Do not remove the cellophane wrapper. Glue a craft stick horizontally across the lollipop stick and continue decorating the clown as above. Enjoy your creations! Purim Sameach! Devorah Piha is the author of The Joy of Jewish Art For Children: A Guide For Parents and Teachers which contains over 500 pages of creativity, instruction, stories, projects, illustrations and more. Joyfully Jewish Adult Coloring Page: Love Your Fellow! Joyfully Jewish Adult Coloring Page: Where Is G-d? Look Inside! Home decorating and crafting projects for the do-it-yourselfer.